UNITED NATIONS (Reuters) - North Korea said on Friday that the world would have to "wait and see" when asked for details of "a new form" of nuclear test it threatened to carry out after the United Nations Security Council condemned Pyongyang's recent ballistic missile launch. Members of the Security Council on March 27 condemned the move as a violation of U.N. resolutions and that it would continue discussions on an "appropriate response. 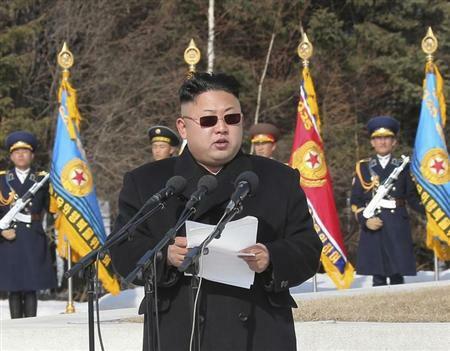 North Korea (DPRK) reacted on Sunday with a threat to conduct what it called "a new form of nuclear test. Ri accused the United States of being "hell bent on regime change" in North Korea by blaming its leaders for human rights violations. He also said Washington was blocking a bid for the denuclearization of the Korean peninsula by ignoring North Korean proposals, so it can maintain military presence in the region.